If Location, Spacious room, hot tub, game room, and you want to spend quality time with your family is what you're looking for......LOOK NO FURTHER!!! 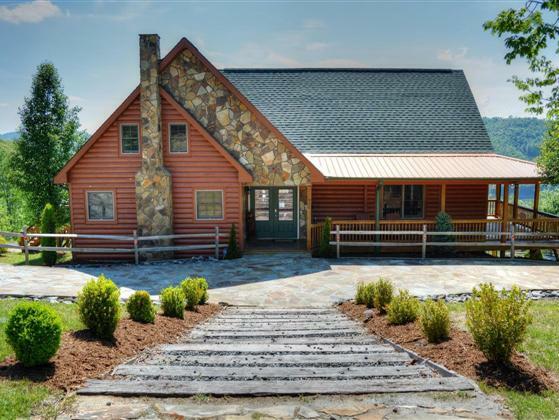 A Home Sweet Home is a luxurious 5 bedroom 4 bathroom, air conditioned log home with room for the entire family or multi-families that can comfortably accommodate up to 17 people. We're only located less than 15 minutes to Boone or West Jefferson and only 5 minutes to the Blue Ridge Parkway. A Home Sweet Home can accommodate up to 17 people! For families, church groups, school functions, or corporate retreats of more than 17, High Mountain Cabin Rentals offers more cabins within a short walk or short drive of each other that may be available for accommodation up to 49 guests!